On the 29th of June 2018 the Vets with Horsepower will stop in Hamburg to deliver high-quality equine CPD lectures for vets in Germany. 14.00h start of talks, registration time TBC. € 80,- per person. This will be donated to the charities in full. 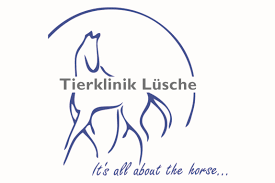 Tierklinik Lüsche-Sanakena: Dr Marc Koene, Dr Niklas Drumm, Katrin Siemer. For information and registration contact them directly or fill in the contact form at the bottom of the page. The programme is subject to changes. Please check back regularly. How to differentiate ataxia from paresis/weakness? Direct via Tierklinik Lüsche or Sanakena, or fill in the form below, the organisers will then answer your question and/or send you a booking form to register for the event.